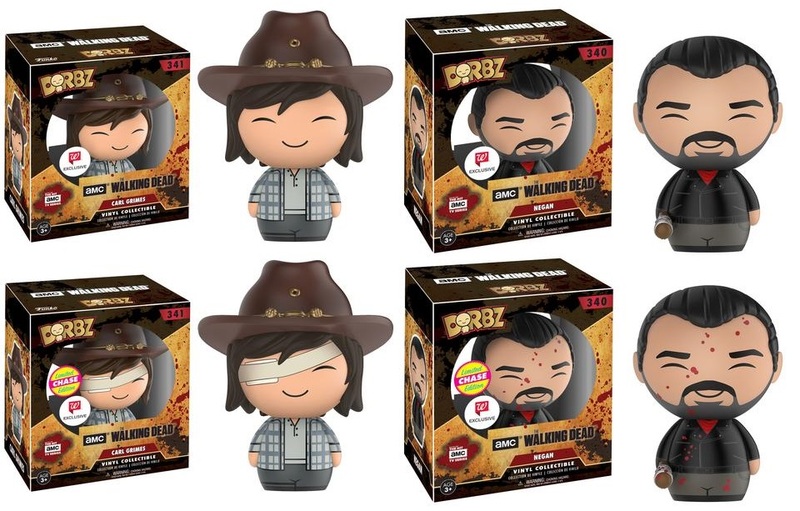 Funko has announced a new batch of Walgreens exclusive Dorbz vinyl figures, this time based on the popular AMC television show, The Walking Dead! 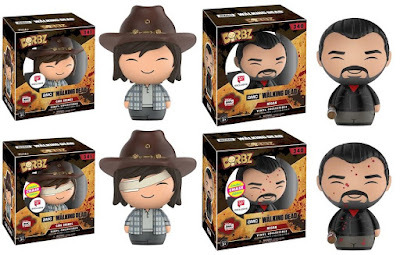 Check out these adorably deadly and awesome The Walking Dead Carl and Negan Dorbz 3” vinyl figures. The Blot can’t wait to see these two do battle on toy shelves around the globe! But that’s not all…they both have chase variants! Carl’s variant comes wearing an eye bandage, while Negan’s variant is super bloody. Each Walgreens Exclusive The Walking Dead Negan & Carl Dorbz vinyl figure stands 3” tall and comes in window-box packaging to fully display each character through front and back box panels. These figures will be available sometime in June at all Walgreens retail locations and online at Walgreens.com.